15-130002522, Synology 2GB ECC DRAM MODULE DDR MemoryFor certain business-oriented NAS servers,Synology offers the ability to upgrade RAM capacity to reach a higher state of performance and reliability. The DDR RAM module have been customized and fine tuned by Synology engineers so they work fully with the servers and will greatly lower the chance of system crashing due to compatibility issues. 15-130004380, Synology 4GB ECC DRAM MODULE DDR MemoryFor certain business-oriented NAS servers,Synology offers the ability to upgrade RAM capacity to reach a higher state of performance and reliability. The DDR RAM module have been customized and fine tuned by Synology engineers so they work fully with the servers and will greatly lower the chance of system crashing due to compatibility issues. 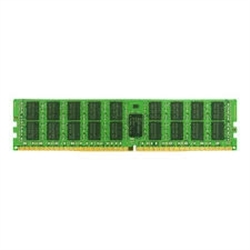 D3NS1866L-4G, Synology 4GB DDR3L-1866 unbuffered SO-DIMM MODULE for DS918+ , DS718+ , DS218+ DDR MemoryFor certain business-oriented NAS servers, Synology offers the ability to upgrade RAM capacity to reach a higher state of performance and reliability. The DDR RAM module have been customized and fine tuned by Synology engineers so they work fully with the servers and will greatly lower the chance of system crashing due to compatibility issues. 15-130004360, Synology 4GB DDR3 MODULE DDR MemoryFor certain business-oriented NAS servers, Synology offers the ability to upgrade RAM capacity to reach a higher state of performance and reliability. The DDR RAM module have been customized and fine tuned by Synology engineers so they work fully with the servers and will greatly lower the chance of system crashing due to compatibility issues. 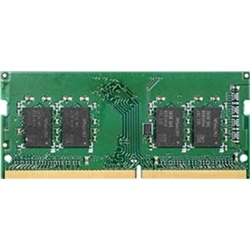 DDR3-1600-8GB, Synology 8GB ECC DRAM MODULE DDR MemoryFor certain business-oriented NAS servers, Synology offers the ability to upgrade RAM capacity to reach a higher state of performance and reliability. The DDR RAM module have been customized and fine tuned by Synology engineers so they work fully with the servers and will greatly lower the chance of system crashing due to compatibility issues. 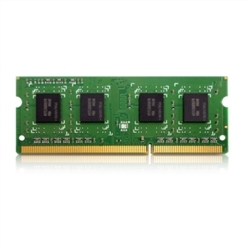 RAMEC2133DDR4-8GB, Synology 8GB ECC DDR4 DRAM MODULE DDR MemoryFor certain business-oriented NAS servers, Synology offers the ability to upgrade RAM capacity to reach a higher state of performance and reliability. The DDR RAM module have been customized and fine tuned by Synology engineers so they work fully with the servers and will greatly lower the chance of system crashing due to compatibility issues. 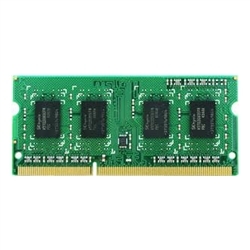 RAMEC2133DDR4-16GB, Synology 16GB ECC DDR4 DRAM MODULE DDR MemoryFor certain business-orientedNAS servers, Synology offers the ability to upgrade RAM capacity to reach a higher state of performance and reliability. The DDR RAM module have been customized and fine tuned by Synology engineers so they work fully with the servers and will greatly lower the chance of system crashing due to compatibility issues.